Coming up with gift ideas for the beginner cook is pretty easy—even if they have a skillet and a pot, they'll probably need a nice knife, a thermometer, or a fine-mesh sieve. But that doesn't mean you can't go wrong. There's a host of bad products (and product bundles) marketed toward the novice cook, and the sellers are counting on the neophyte to know no better and opt for an expensive nonstick skillet over a cheap cast iron pan. Luckily for them, you're around to steer them in the right direction, and give truly useful gifts that will reward their early ventures into cooking. In part, that's because once I've replaced a poor tool with a superior one, I have a far greater understanding of its value, be it a really nice stainless steel saucier or a really nice wooden spoon. The gift you're giving is more than just the item in question: You're passing on the wisdom of your experience. A kitchen can't be described as well-equipped unless it has a decent skillet. I relied on a cast iron pan for years before getting a tri-ply stainless steel skillet, and while I love my All-Clad with a fervor that rivaled my love for my dear departed dog Oscar, that trusty old cast-iron is still a workhorse in my kitchen. At some point, the beginner will want one (or two) of both, but if you're looking to get them a starter skillet, either one will do. Both are oven-safe, and can be used to sear meats and vegetables, make pan sauces, and so forth. So what's the difference? The cast iron will need to be seasoned, and kept seasoned, and it's a little heavy, but it makes up for that by being much cheaper than the All Clad (very cheap, if you manage to find an old cast iron skillet at a flea market and restore it yourself). The material's excellent heat retention is ideal for searing meats, such as steak, and over time, consistent cooking and seasoning of it surface will yield a nonstick coating akin to a teflon-coated pan. Hello, fried eggs. A tri-ply skillet, on the other hand, such as All-Clad (or our more budget-friendly pick, the Tramontina), conducts heat better, making it ideal for quickly sautéing vegetables. Its sloped sides also help with both rapidly reducing liquids and tossing ingredients like a badass. Both will, with a little love, last close to a lifetime. I doubt there are many people out there who would argue against the idea that a chef's knife is an essential tool in the kitchen. But I've run across more than a few people who would argue that a nice chef's knife isn't necessary, particularly for the novice cook. Often, these people will point to their Forschner, and say that it gets the job done, and that's all well and good, but nothing compares to a great chef's knife. Picking a knife can depend on a range of factors, such as hand size, experience level, and intended uses, which is why we've devoted an entire guide to knife-related considerations. But we're confident recommending our house favorite, the Misono UX10 Santoku, to the majority of cooks. This knife is sharp straight out of the box, and it will stay sharp despite repeated use. It's light and perfectly balanced, and it will certainly make the prospect of learning how to chop and slice all the more enticing for someone setting out to master knife skills. Another benefit: It's nice enough that it'll provide ample motivation for the new cook to learn how to properly store and take care of their knives, and the importance of keeping them sharp, either by sending it out for proper sharpening or learning how to sharpen it themselves. Almost as important as a skillet and a knife, a pair of good tongs is invaluable for any number of preparations, from fishing out noodles from boiling water to turning steaks or cutlets. 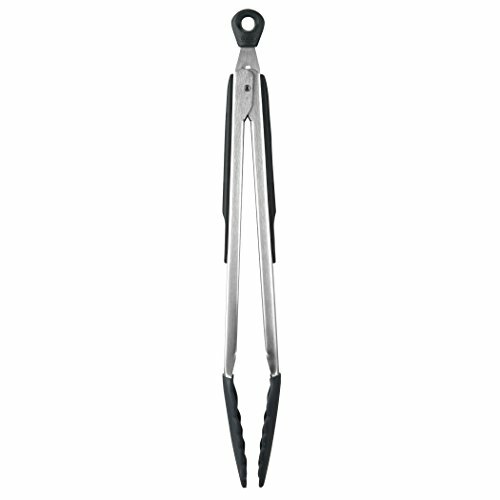 We did the research and found that OXO makes the best all-purpose tongs; you'll definitely want to get a metal pair, and possibly another with silicone heads, which are useful for nonstick and enameled cast iron surfaces. 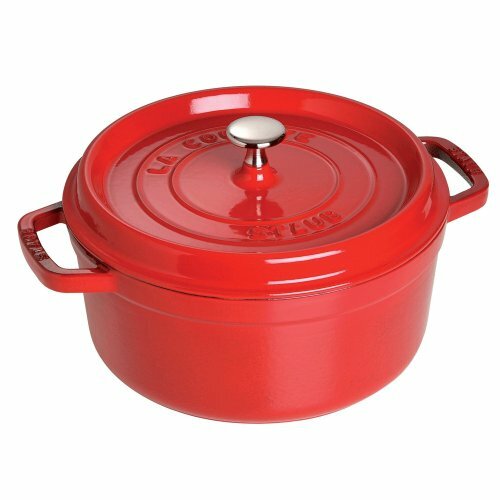 Speaking of enameled cast iron, a novice cook should not enter the cooking world without one of these beauties. 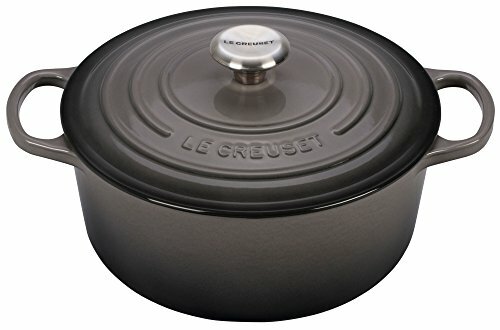 Looks aside, we found that Staub and Le Creuset make the best on the market. They're just as good for making soups and stews and braises as they are for baking the bread you'll want to serve alongside. Of all the items on this list, this is the only one where I can understand someone scratching their head and wondering, "This? You think this is essential?" 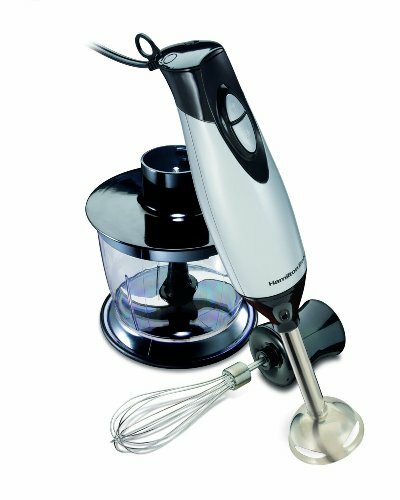 But a good immersion blender is an essential tool, and if you don't think so, you might as well buy yourself one when you pick one up for our hypothetical beginner cook. Someone who's just starting out in the kitchen doesn't need a Vitamix, but they will need something to make purées and silky-smooth soups. Add on to it the fact that they'll discover how to make foolproof mayo and two-minute Hollandaise, and it's a gift that keeps on giving. We surveyed the current market and judged the All-Clad to be the best, but if you're in the market for a budget blender, we found the Hamilton Beach works very well, too. If you're worried that someone else might have beaten you to the punch on any of the above gifts for the beginner cook, you may want to opt for the salad spinner. It is baffling to me that all across this fair land of ours there are kitchens that do without one. Sure, you can make a good salad without one, but then the washing and drying of your greens is a huge chore (if your response is to point to pre-washed greens in bags or plastic containers, please read this urgent PSA from Daniel right now). Salad spinners are also invaluable for washing off super dirty greens like spinach, along with any radish or turnip tops you might want to stir fry, and they're pretty handy for cleaning mushrooms, too. 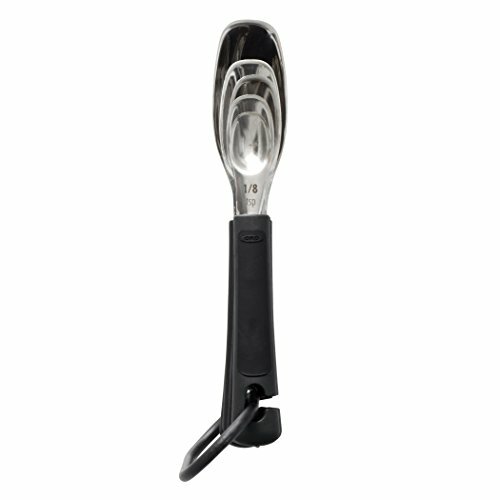 Our review of the spinners on the market deemed Zyliss's to be the best. If the budding chef in your life is in fact something closer to a budding pastry chef, they won't be able to realize their dreams without a good stand mixer. Many recipes pretty much require a stand mixer (although a hand mixer will work in a pinch for most recipe, it won't produce the same results in the same amount of time—there's a reason professional recipe developers swear by their stand mixers). Stella recommends the KitchenAid Pro due to its powerful motor and its solid-metal gears, which help it power through things like cold butter easily and quickly, which helps ensure your batters and doughs stay at the proper temperature. Throw in standard attachments, like a pasta maker or meat grinder, and it's basically a one-stop shop for specialty food production. A cook can't accurately follow a recipe if they don't have the correct tools to measure out their ingredients. 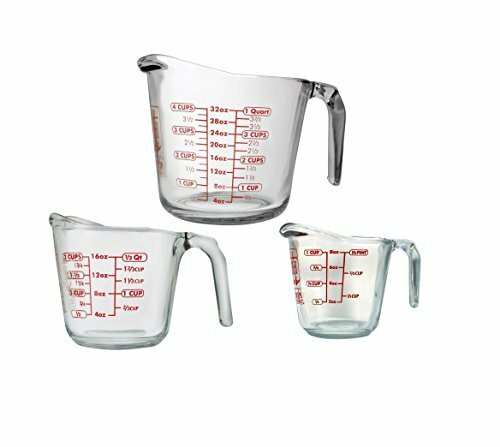 We did a slew of reviews to find the best dry measuring cups (review), the best liquid measuring cups (review), and the best measuring spoons (review), and giving the best-in-class from each of those categories would make a fine present for someone who's just starting out in the kitchen. 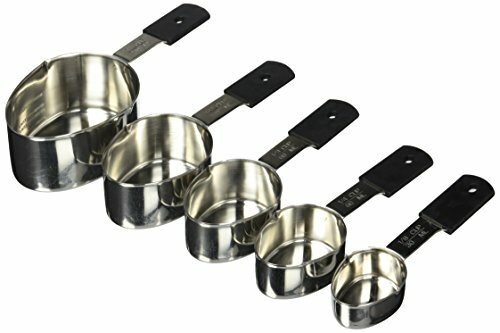 Do look at the reviews, as we provide different options depending on one's preferences—glass or plastic for the liquid measuring cups, rectangular or round for the spoons. But also, keep in mind that volume isn't the only (or best) way to measure out a recipe's ingredients: Mass works well, and in some cases is superior. A kitchen scale would be a grand gift for the new cook, too.